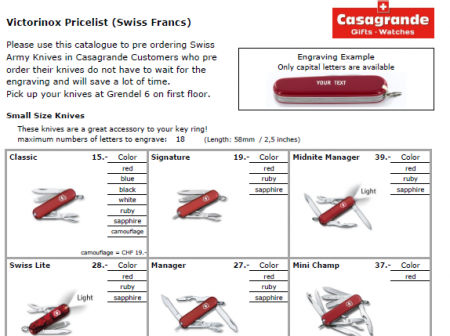 An engraved Swiss army knife is the perfect gift for loved ones and a great souvenir. But if you are travelling with a group, your customers might not have time to wait until everyone has finished with their engraving. To speed up this process, you find two order forms and a price list. One order form you can fill out electronically. This is perfect for those, who have an electronic device and internet connection. Just pass your laptop or tablet PC to your customers and let them fill in the list. Please save one file for each page you fill out. 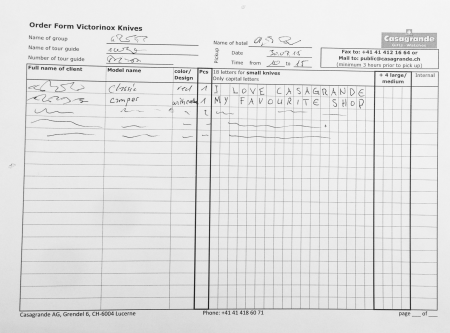 To order, mail your list to public@casagrande.ch or use the transfer form below. 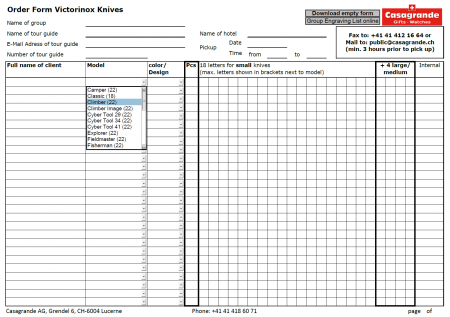 The other order form is to be printed and filled out manually. To avoid typographical mistakes, we ask you to fill out the engraving text on this form in CAPITAL LETTERS. If you send us the order form at least 3 hours prior to pick up, the ordered Swiss army knives will be waiting for your group all perfectly engraved and you will save a lot of time. 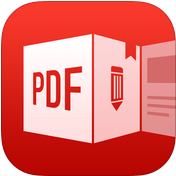 If you are using an Apple device to fill out the form, we recommend using TinyPDF from APP store. Please, use the transfer form below, to transfer your filled out group order.